Larry Heard Remains Boundless As He Returns As Mr. Fingers One of house music's Chicago architects returns with a journey through his eclectic past, and a renewed creative streak. 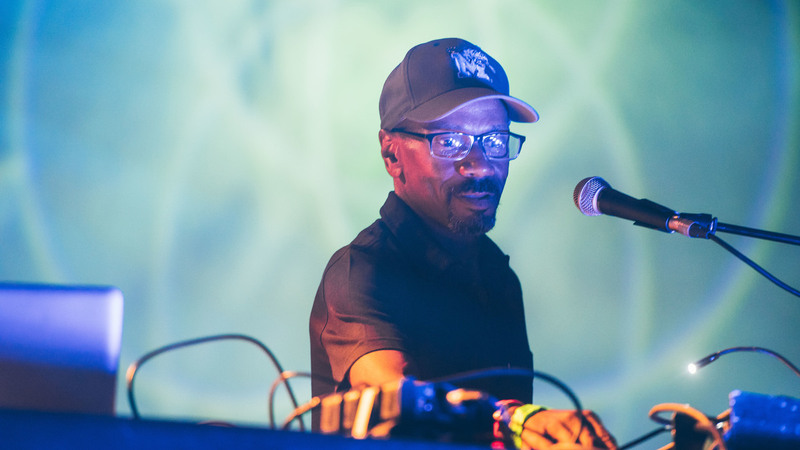 As you make your way through all 100+ minutes of Cerebral Hemispheres, Larry Heard's first album of new music released as Mr. Fingers in almost a quarter-century, the thing that may prove most startling is the variety. The house music sound that Heard helped bring to life in Chicago in the mid-1980s is everywhere, of course — sometimes foregrounded, minimalist and jacking, at other times buried in the songs' DNA. But Hemispheres also features generous helpings of soulful R&B, of rock guitar and jazz strains (smooth here, acidic and downtempo there), of South American and Antillean rhythms. Elsewhere, it eschews overt rhythm for melody and ambiance, making clear that the anthemic Fingers/Heard legacy now celebrated across the world's dance-floors is only part of the story. As it has always been. Of all the South Side innovators who remade the sound of modern music in the late 20th century, Larry Heard was the hardest to pigeonhole. Back then, he seemed to approach the brave new world of house less as an electronic revolutionary/gear-head/DJ/futurist than as a traditional musician with open ears (primarily a drummer in different kinds of neighborhood bands) and boundless interests. It was a more songwriter-ly and compositional take on house music — most obvious on massive hits such "Can You Feel It?" and "Mystery of Love," and in his collaborations with vocalist Robert Owens, including the group Fingers, Inc. But even as Heard explored deeper, new age beats (the two mid-90s volumes of Sceneries Not Songs), or set controls for ambient territories (the almost-forgotten 1996 masterpiece, Alien), his work expanded with a defined focus in which making people dance seemed almost incidental – when it even mattered at all. 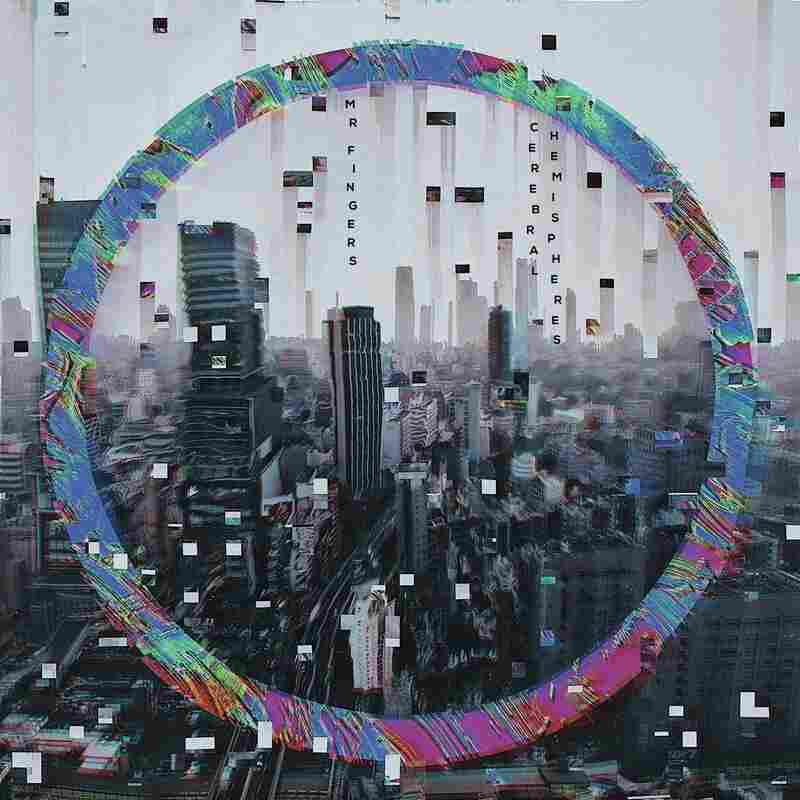 From its title to its cover, Cerebral Hemispheres strives to bring together many of the sounds Heard's been living with during a period of decreased activity (his last album dropped in 2005, and he's only released a couple of singles since). It contains "four seasons of what I've been doing over the years," is how Larry put it when I reached him by Skype in Memphis, where he's resided since the late '90s. He admits that a handful of these 18 tracks date back to the late 2000s, while a few others may have been inspired by wandering through his archives once he set his mind to making a new full-length. And the album's opening half takes a decisively smooth, smoky approach, with Heard's voice and piano, Zach McElwain's tenor saxophone, and wispy synths providing the clearest definition. Highlights include Chris Jones' David Gilmour-like guitar-lines on "City Streets," which bring forth a deep-house Pink Floyd vibe, and "Tiger Lounge," a dub-wise, horn-filled number that wouldn't seem out of place in a Nightmares on Wax set. Still, you can clearly spot the transition of the "seasons" that takes place when "Sao Paolo," a feather-weight house groove of Brazilian percussion, open-chord keys and marimba, secedes to "Crying Over You," an instant classic of emotive minimalism, where Heard's vocal fragility and memory mix with piano, synth delays and a crisp 110bpm drum-machine. From here on, Hemispheres gets progressively more abstract. The title track and "Electron" are signature 2018 dancefloor Fingers, folding together simple melodies and arpeggiated synth lines into headlong drives towards peak-time uplift. Fans of Mr. Fingers' comeback 2016 EP Outer Acid are treated to new mixes of its four tracks, and there are additional dub-oriented moves, including an appearance by the great Berlin dub vocalist Paul St. Hilaire. The closer, "Praise to the Vibes," completes the album's kaleidoscopic loop and Heard's stroll through his own creative history. Featuring a great vocal by new-gen soul queen Lady Wray, it updates the classic groove Heard's generation first brought to R&B, and sounds less like something from Chicago or North Jersey (house's original epicenters) than South Africa or Wray's hometown of Atlanta, places where the black house tradition is being plugged into and reborn. On its own, "Praise to the Vibes" is a wonderful, sleek piece of music that naturally connects two artists nearly three decades apart. As the last stop on Mr. Fingers' journey to the past, it's a monument to him and a road map for others.